Structure is a suite of responsive layout and design tools for building supremely flexible page designs in Stacks. Structure features responsive columns, grids, floated images and a whole lot more to make constructing responsive pages a breeze. The Columns stack allows you to create columnized layouts for use with responsive themes. It ensures that your content will look great and function as it should in a responsive environment. The Grid stack gives you the ability to place your content in an even grid format. It allows you to choose how many items are displayed per line at each of the three break points. Great for photo galleries! Our very versatile Margin stack allows you to set both a margin and padding for just about any page element. This margin and padding can be set to different sizes for each of the three breakpoints. The Visibility stack is so simple, but oh so powerful. It allows you to hide, or show, just about any page element at each of the three common break points. This fun little stack operates much like the Floated Image stacks that come with Stacks, with the exception that these are responsive. And includes pull-quotes. The Image stack helps in making your images responsive. Columns, Grid and Float stacks all make your images responsive on their own, but this stack allows you even more options. 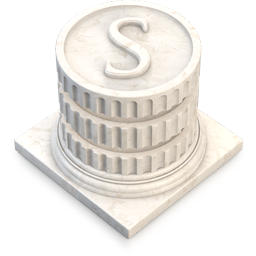 The Structure suite of tools requires RapidWeaver v5 or above and Stacks v2 or above. We do recommend RapidWeaver 6 as it allows you to preview your site at various different breakpoints right inside the app’s Preview mode. Like the look and feel of the theme used to build this responsive demo site for the Structure suite? It is built using the Tesla Pro theme. You can read more about it, and check out its videos, screenshots and live preview site from its product page.